Offshore seat and pads Color: White..
Pf lt gray molded seat w/gray Size: 18-1/2" D x 19-1/4" W x 16-1/2" HOnsert: Gray VinylFrame: Gray..
Pf gray seat w/red vinyl back Size: 18-1/2" D x 19-1/4" W x 16-1/2" HOnsert: Red VinylFrame: Gray..
Df olive green molded seat Size: 18-1/2" D x 19-1/4" W x 16-1/2" HOnsert: Camo CorduraFrame: Olive..
Proform seat olive shadow Size: 18-1/2" D x 19-1/4" W x 16-1/2" HOnsert: Shadow GrassFrame: Olive..
Proform fold-down seat/white Size: 18-1/2" D x 19-1/4" W x 16-1/2" HOnsert: White VinylFrame: White..
Rotocast poly seat w/arms Size: 18" D x 22-1/2" W x 19" HColor: White..
Tough all purpose seat with welded and thru-bolted frame. 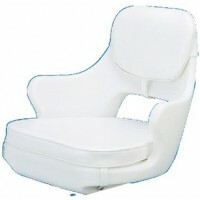 Molded seamless white vinyl cushions, firm.. 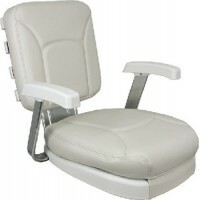 Pilot seat pol frame- white Size: 17-1/2" D x 19" W x 24" HColor: WhiteFrame: Polished.. 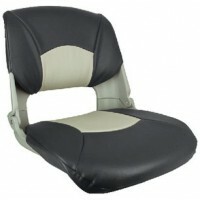 Provides support for fold-down seating. Can be cut to length for desired height. Locks in down or st.. 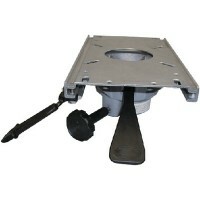 The polished 304 stainless steel welded frame will handle a 100 quart cooler up to 31-1/2" wide x 15.. 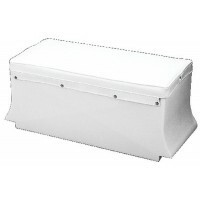 Features a double wall foam insulated base. OEM marine grade pleated vinyl, mildew-resistant thread,.. Cushion set - st2000 Size: White Cushion Set - ST2000Color: .. 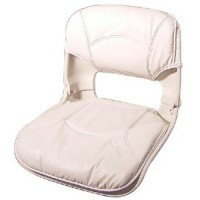 Cushion set white f/2050 Size: White Cushion Set - F/2050Color: .. Cushion set white f/2070 Size: White Cushion Set - F/2070Color: .. Cushion set white f/2071 Size: White cushion set - F/2071Color: .. Cushion set white f/2080 Size: White Cushion Set - F/2080Color: ..
White 2070 chair cushion set Size: 17-1/2"D x 15-3/4"W x 16-1/4"HColor: White..
White chair cushion set mt plt Size: 18" D x 17-1/4" W x 20" HColor: White..
White 2071 chair cushion set Size: 21-1/2" D x 20-1/2" W x 19-1/2" HColor: White..
White 2050 chair cushion set Size: 15-1/4"D x 16-1/2"W x 15-1/4"HColor: White..
All-weather chair with comfortable arm rests comes with a 9" heavy duty die-cast aluminum base. The .. 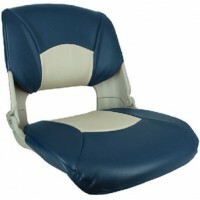 Heavy-duty marine grade vinyl over plush foam padding. Bolster flips up for leaning position. 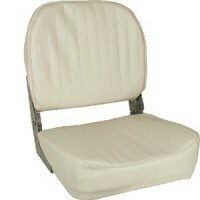 5 Year..
Folding boat seat with plush padding and durable upholstery. Rigid plastic injection molded frame wi.. 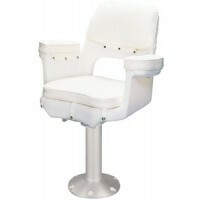 Ladder back chair wh cushions Size: 21" H x 22" W x 21.5" DColor: White..
Newport economy chair package Seat Dimensions: 16" D x 19.5" W x 17.75" HPedestal: 13-3/4" - 16-3/4"..
Norwegian chair package 24 Color: Black..
Skipper chair package grey Color: Gray..
Injection molded, heavy-duty marine grade black plastic shell with cushions. 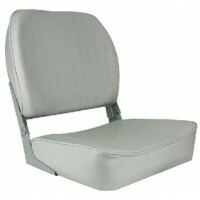 Seat backs fold down fo..
Folding seats feature a gray shell with two-tone cushions. 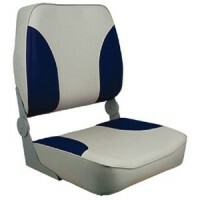 Seat backs fold down for storage and trav..
Seat back folds down for storage and travel. Pinchless hinges. 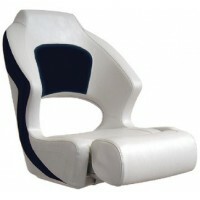 Size: 26" H x 20" W x 17" DColor: Mos..
Seat back folds down for storage and travel. Pinchless hinges. 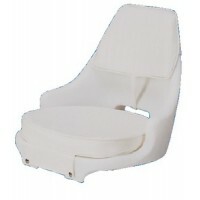 Size: 26" H x 20" W x 17" DColor: Gra..
On boat locking Description: 30" rails only..
Tilt-n-slide jon boat seat brk Description: Seat plate & 15" rails..
Jon boat seat plate Description: Seat plate only..
Low-back all-weather seat & Size: 16-1/2" H x 18-1/4" W x 17" DColor: White..
Package Includes seat, removable snap-on cushion set, polyethylene mounting plate, 15" anodized alum.. 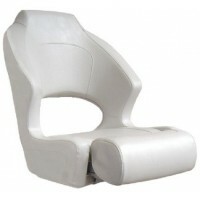 Custom cushions for #500 chair Size: WhiteColor: Cushion SetDescription: ..
Economy cushion for 85-1537-l Size: WhiteColor: Cushion SetDescription: ..
Rotationally molded, made from SURPASS® materials and upholstered in high quality, marine grade viny.. Features contoured ends that fit snugly between fully-inflated pontoons, a dry storage compartment, .. 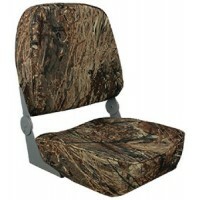 Feature double wall, foam insulated interior with rounded corners to prevent bait from getting trapp..
Seats are rotationally molded and made from SURPASS® materials. 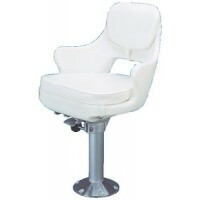 Includes seat, cushions, 15" anodize..
500 chair only Size: 17-3/4" D x 21-3/4" W x18-1/2"Color: WhiteDescription: Seat Only.. 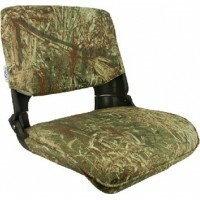 These durable seats feature stainless steel swing-arms, and plush, ribbed marine grade vinyl upholst..
Includes boat seat, removable snap-on cushion set, polyethylene mounting plate, 360° nylon spider, a..
Econo fishing chair Size: 17" D x 20-1/2" W x 18-1/2" HColor: WhiteDescription: Seat Only..
Seats are rotationally molded and made from SURPASS® materials. Molded in 1/4"-20 T-nuts accepts mos.. 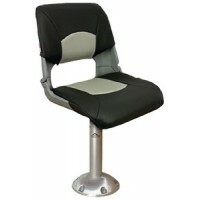 Fold down seat gry/charcoal Size: 20-3/4" D x 19-1/2" W x 21-1/4" HColor: Cuddy Marble/Cuddy Charcoa..
Bayliner lounge no base wh-mid Color: Bright White/Midnight..